If you have ever touched a plasma ball you have probably marveled at the very cool effect that occurs when a stream of electricity shoots towards your hand. A cat named Smooch recently discovered her owner’s birthday present and she quickly became mesmerized by what appeared to be a ball of contained lightning. 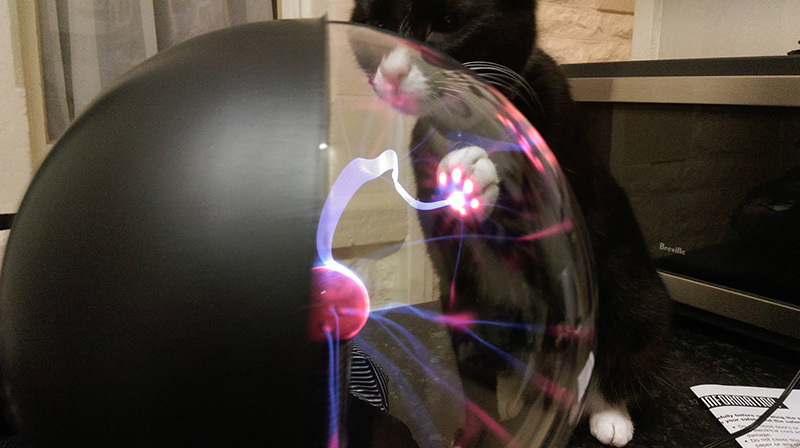 She couldn’t help but touch the ball and because of her brave effort we now know what it looks like when a cat touches a plasma ball. 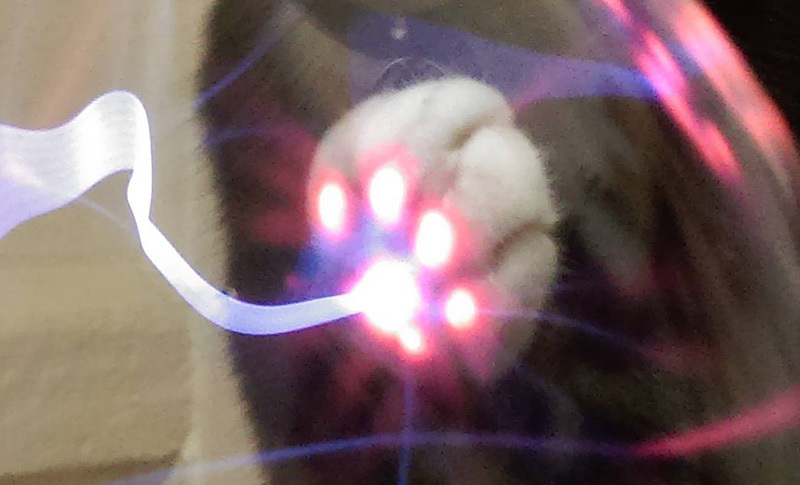 Here’s a closeup of the plasma ball effect on a cat’s paw.